As we begin the new semester, you will continue to be faced with the challenges of balancing a rigorous academic program with the rest of your life. But along with these challenges comes tremendous opportunities to make a difference in the field of pharmacy and in your community while making lasting friendships. 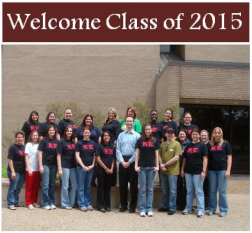 Kappa Epsilon allows exploration of different areas of pharmacy in our chosen profession. 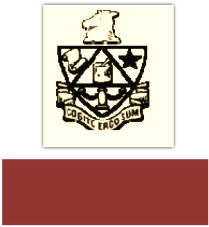 The pledge period of KE is an experience full of exciting activities (social and professional) and time to begin building friendships to last a lifetime. We see it as our responsibility, as well as the other active KE members, to contribute to your present and future pharmacy education. We look forward to meeting you and hope that whatever path you take in the profession of pharmacy, your education is memorable. Just because school is starting...doesn't mean that the fun and celebration should stop. Join us for a signature KE event in the making. 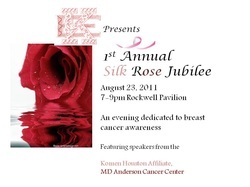 The Silk Rose Jubilee is our prelude to the Komen Race for the Cure. Come share a meal with us and learn about what you can do to promote breast cancer awareness now as students and what you can do for your patients as pharmacists in the future. We invite you to mingle with our KE alumni and faculty. It's never too early to start making those connections. Also be sure to sign up to volunteer/walk at the Komen Race for the Cure. It is one of the biggest walks in Houston and you don't want to miss out. If you would like to walk with us, join the team UHStudentPharmers, when you register, and we will keep you posted on race-day meet up details as well as our post-race social. We will be volunteering at this event as well as at the pre-show gala. 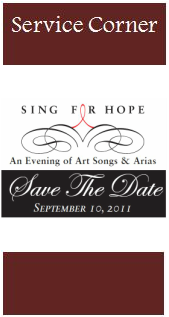 Sing For Hope is a non-profit organization based in New York but its founding was inspired in Houston. This group puts on various charity musical events benefiting efforts such as HIV services. Students interested in helping out at this event should contact Raymond at yhlin291@gmail.com as spots are limited and are not determined by KE.